The Euro-Palestinian communication forum (Euro-Pal Forum) said the French parliament's vote in favor of the recognition of a Palestinian state is an important step on the road to recognizing the national rights of the Palestinian people by European governments. Head of the forum Zaher Berawi stated that the groundswell of European support for Palestinian statehood constitutes an awakening of conscience among the Europeans, albeit late. Berawi also believed that it is an expression of anger and indignation by the Europeans over the persistent Israeli violations against the Palestinians in Gaza and the occupied territories. He stressed that this European trend of support for the Palestinian cause would help pressure the Israeli occupation to provide a real opportunity for the achievement of the two-state solution and force it to stop its aggressive practices, which would otherwise torpedo any hope for success in this regard. Berawi added that the failure of this pressure would cause the European parties huge embarrassment because the other option, which is the one-state solution, would be very difficult and complicated for the European union states whose policy is still against such option. Following the Swedish government's recognition of a Palestinian state, this past October, the Belgian government is set to become Europe's second country to adopt the motion and recognize the Palestinian state based on the borders of 1967, with East Jerusalem as its capital. PNN reports that the four parties of the Belgian Coalition, Tuesday, reached an agreement to submit a motion to parliament formulating support for recognizing Palestinian statehood. The parties intend to pass the motion in parliament and implement through government policy, according to Le Soir daily news. Four coalition parties agreed to promote recognition and are: the Reformist Movement, the Flemish Liberals and Democrats, the Christian-Democratic & Flemish Party and the New Flemish Alliance. 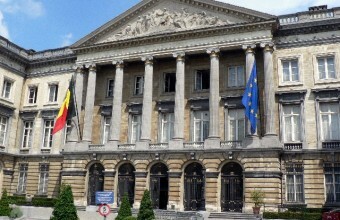 Belgium's Parliament will follow the steps of its French Counterpart and recognize the Palestinian State, making the Belgium the second government in Europe to recognize a Palestinian State after the Swedish. Australian Labor and Liberal lawmakers have called on their government to recognize Palestine as a state, the Guardian newspaper said. The newspaper quoted the Australian parliamentary Friends of Palestine group as saying that the international recognition is the only way to end a stalemate in the peace process and bring peace to the Middle East. Labor MP Maria Vamvakinou tabled a proposal in parliament on Monday calling on the government to recognize and back Palestine, in response to the UN international day of solidarity with the Palestinian people, which fell on Saturday. “On this day, we need to acknowledge and understand that the prospects for a two-state solution are increasingly dissipating and we are left with very few options,” Vamvakinou said as she was tabling her motion. "We are, potentially, embarking on a road map that leads to nowhere. Such a prospect will have horrendous implications not only for the Palestinians and the Israelis, but for the international community. Essentially, there will be no peace for any of us." Vamvakinou, who co-chairs the Australian parliamentary Friends of Palestine group, said international recognition was the only way to end the deadlock. "Australia and indeed this parliament must now recognize the state of Palestine, and Australia must vote yes at the UN for Palestinian statehood," Vamvakinou said. For his part, Liberal MP Craig Laundy, co-convener of Friends of Palestine, spoke for the motion. “The people of Palestine, for the last almost 60 years, have not had a fair go. Imagine if you will, coming home this afternoon to your home, going to put your key in the door and it did not fit," he said. "You knock on the door. Someone you do not know opens the door and they are in your home. That is what happened here, that is what happened all those years ago. And a people have been displaced and fighting for an identity ever since." He also accused lobbyists of hijacking the debate in parliament. "The things we discuss in this chamber should not be influenced by the lobby. They should be influenced by what is right." On November 18, Spanish lawmakers overwhelmingly approved a non-binding resolution calling on their government to recognize a Palestinian state. Britain and Ireland also passed similar non-binding motions. On October 30, the Swedish government went a step further and officially recognized Palestine as a state. On November 29, 2012, the 193-member UN General Assembly voted to upgrade Palestine’s status to a non-member observer state. 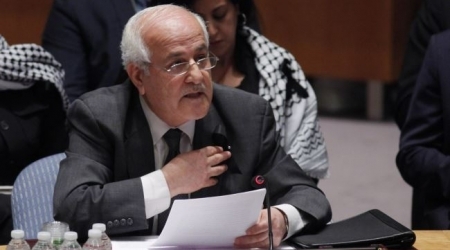 Palestinian envoy to the United Nations, Riyad Mansour, said Monday that the text of the drafted resolution, which is being shepherded by France, is also expected to lay out a timeframe for negotiations on a final peace deal between Israelis and Palestinians. "The French are moving more and more, trying to bring all the European colleagues together, and I think that eventually they will succeed," Mansour said, according to Press TV. The draft resolution, approved by the Arab League in September, calls for ending the Israeli occupation of the Palestinian territories by November of 2016. Arab League foreign ministers said in a statement that they agreed on a plan which includes submitting an “Arab proposal to the United Nations Security Council to end the [Israeli] occupation” of the Palestinian territories. Furthermore, according to a recent report by NSNBC, the draft was adopted by the Arab League’s foreign ministers on Saturday and will be formally submitted to the UN Security Council, with the Council scheduled to vote on it within days. A follow-up committee is reportedly engaged in the process of lobbying for support for the resolution. The committee reportedly includes representatives from Jordan which is currently holding a non-permanent seat at the Security Council. The Chair of the Arab League, Nabil Al-Arabi told reporters that Jordan will table the draft resolution at the Council within the coming days. In November, Jordan tabled another draft resolution that called for an end of the Israeli occupation of Palestinian territories by November 2016. It is, however, uncertain whether the new draft resolution will pass. Several U.S. 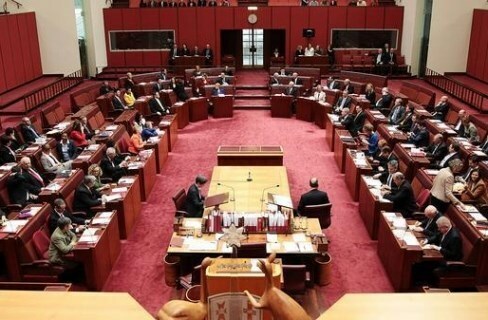 Senators have voiced their strong disapproval of setting a fixed time frame. The Obama administration, for its part, repeatedly stated that a solution for the “Palestinian Issue” only could be found within the framework of a comprehensive solution for the Middle East. The first time the Obama administration issued such a statement was during the 66th Session of the UN general Assembly, and at the onset of the US/NATO led wars on Libya and Syria. Many analysts expect that the united States and eventually the UK and France will make use of their veto right at the Security Council. The Palestinian State has been officially recognized by the overwhelming majority of the international community. Ironically, that does not include that nation which most persistently uses the term “international community” when it in fact refers to US foreign policy interests. 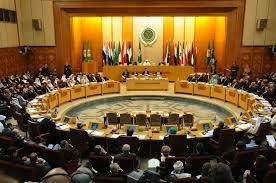 The Arab league’s draft resolution calls for a Palestinian State within the borders of 1967. Far from all Palestinian political parties agree with a two-state solution, especially when it would imply that the right of return that is guaranteed by international law would be substituted with an economic compensation and “privileges in exile” for the Palestinian families which were displaced since 1948. In a 339 to 151 vote, French Lawmakers of the Lower House of Parliament voted in support of a symbolic motion meant for the recognition of Palestine as a state, a move that was seen as an attempt to push the government to take more active measures towards the Palestinian cause, and the ongoing conflict. The resolution that passed states that the French government is invited to recognize Palestine as a state, a move meant to present a conclusive resolution to the ongoing conflict. French Foreign Minister Laurent Fabius told French members of parliament a week ago that the UN Security Council was working on a resolution meant to ensure the resumption of direct Palestinian-Israeli peace talks. Fabius added that his government is ready to host international talks, and efforts, to push political talks into the right direction. He said France is ready to talk initiative in holding an international conference, adding that a recognition of a Palestinian State is very important in the efforts to reach a final peace agreement. The French Foreign Minister added that should all efforts to resume direct talks, and attempts to reach a resolution fail to achieve their desired goals; France will fully recognize Palestine as a state. On October 13, Britain made voted for recognizing Palestine, a move that followed the November 18 vote made by Spanish Members of Parliament. On October 30, Sweden also voted in favor of recognizing Palestine as a state. Reuters on Monday reported that A timeframe for creation of a Palestinian state has been sat, as a draft resolution was approved by foreign ministers of the Arab League on Saturday. The draft resolution is to be formally presented to the United Nations Security Council for vote within few days by the Arab League. International support for the resolution will be sought by a follow-up committee, which includes Jordan, member of the Security Council. Nabil al-Araby, chief of the Arab League, stated that Jordan will present the draft to the Security Council within days. It is doubtful that a proposal for creation of a Palestinian state will get the support of veto-wielding members of the United States council, which is a key collaborator with Israel. In his opening speech of the session in Cairo, Palestinian president Mahmoud Abbas said that Israel had left his people with no other option than to attend to the international community. "The current situation in the Palestinian territories cannot continue," he said. "There is no longer a partner for us in Israel and there is nothing for us but to internationalise the issue." Last month, Jordan distributed a draft U.N. Security Council resolution to members, calling for an end to the Israeli occupation by November 2016. The Palestinian-drafted text was described as “unbalanced “by some diplomats. France, Britain and Germany have also drafted resolutions which will work as parameters for trying to put end to the conflict, said diplomats. Though the text has not yet been dispersed to the 15 members of the council. In his speech, Abbas warned that his government could diminish the contacts with Israel and suspend coordination if the resolution wouldn’t pass at the Security Council, and that Israel will be held responsible for the consequences. Coordination with Israel has previously been described as necessarily and even “sacred” by Abas. Statehood is sought by Palestinians in the Israeli-occupied West Bank and Gaza strip, which is under blockade, with East Jerusalem as their capital – lands which were all overtaken by Israel in the 1967 war. Israel has accepted the idea of a “two-state solution”, giving Palestinians an independent state, existing next to Israel. But Israel has not accepted the borders from 1967 for the final negotiations that will involve security and other matters. The resent efforts to create a two-state solution happened in April but failed and since the 50-day war between Israel and Hamas this summer in the Gaza strip, the relations between the two sides have worsened and tensions increased. France announced on Friday, that it would recognize a Palestinian state if a final international effort failed to overcome the impasse between Israelis and Palestinians. 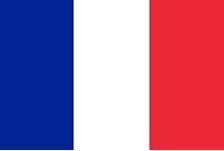 Members of the French Parliament will host a symbolic vote without immediate action on December 2th for whether or not the French government shall recognize Palestine as a state. This came following similar actions by Sweden, Britain, Ireland and Spain. The Palestinian Legislative Council (PLC) returned Sunday to Gaza Strip via Rafah crossing after concluding its foreign tour. 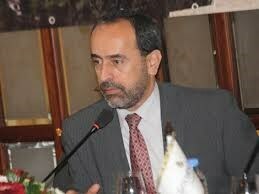 The delegation, headed by the PLC deputy speaker Dr. Ahmed Bahar, had visited Saudi Arabia, Qatar and Turkey. In a brief statement, Dr. Bahar condemned Israeli occupation authorities’ decision to bar a European delegation’s entry to Gaza Strip. A delegation from the sub-committee on the Middle East of the parliamentary assembly of the council of Europe, which arrived on Friday in Ramallah city, was supposed to visit Gaza on Saturday morning, in order to visit the areas destroyed in the latest Israeli offensive and meet with impoverished and displaced families but the IOA denied its access to the besieged enclave. Dr. Bahar confirmed that barring the European delegation’s entry to the Strip aims to cover up Israel’s crimes and human rights violations carried out during its 51-day aggression on Gaza. The PLC deputy speaker called on international delegations and missions to challenge Israeli pressures and to intensify visits to the besieged Strip of Gaza in order to expose Israel’s crimes against humanity. He stressed the need to stand against Israel’s continued violations of international laws and conventions and its collective punishment policy against 1.8 million people living in Gaza Strip. Dr. Bahar also pointed to the poor humanitarian conditions suffered in Gaza Strip that deepened after the Israeli summer offensive. Head of the London-based Euro-Palestinian communication forum Zaher al-Berawi met with some members of the British House of Commons and discussed with them ways of activating their recent non-binding resolution, which calls on their government to recognize Palestine as a state. In a press release on Sunday, Berawi said that his meeting with the British lawmakers from different blocs was intended to establish strong relations with them and put them in the picture of the latest developments in the Palestinian arena. 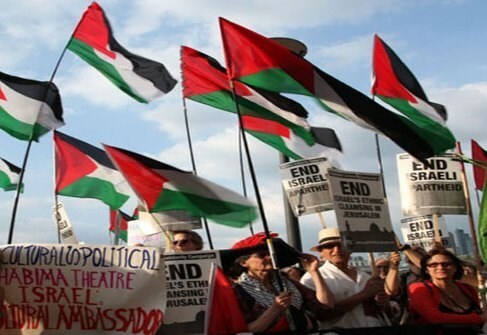 "I have discussed with the MPs Israel's ongoing violations in the occupied city of Jerusalem and the continued illegal blockade on the Gaza Strip, and urged them to necessarily play their role in pressuring the British government to take a position on those violations, commensurate with the values of freedom, democracy and human rights which Britain takes pride in," head of the forum said. "I also discussed with the MPs the positions of their parties on the issue of recognizing the Palestinian state and the impacts of the decision [taken by the House of Commons in this regard] on the British foreign policy," he added. 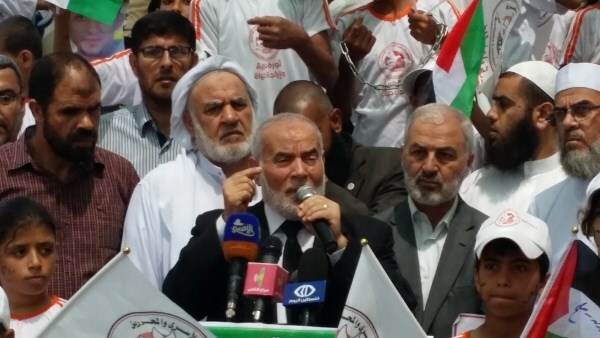 Berawi said that the lawmakers asserted that the House of Commons' no-binding decision was very important and concurred with him on the need to employ it for further pressure on the British government with regard to adopting the decision and supporting the Palestinians' right to self-determination and an independent state. For his part, MP Clive Betts said that his opposition Labor party had already taken a decisive step in this regard and would not hesitate to officially recognize Palestine as a state if it won the coming election to be held next May. Betts added that there is a strong trend within his party backing this direction and calling for including the recognition of Palestine in its platform for the election. The national consensus government declared by Hamas and Fateh, this past summer, has finished its interim term, a Hamas spokesman said Sunday. Sami Abu Zuhri stated, during a news conference in Gaza City, that the unity government's six-month term had expired, and that a dialog should be resumed, on a national level, to discuss the future of the government. Ma'an News Agency reports that, according to Mr. Abu Zuhri, any decision on whether the government should be disbanded or continued or be to reshuffled must be made only through national dialogue and consensus. Hamas "isn't interested in incitement", he said, but, rather, "seeks to maintain national unity", stressing that the movement "does not control the Gaza Strip at all" and that... "if the national consensus government doesn't want to take responsibility for Gaza, this doesn't mean the government is exempted from this responsibility." Abu Zuhri went on to criticize the Palestinian Authority for its responsibility in what he describes as "politically motivated arrests". Senior Fateh official Faisal Abu Shahla told Ma'an, Sunday, that there was never any agreement that the Palestinian unity government would last only six months, stating that the national consensus government was assigned to carry out a number of tasks, including the holding of elections within at least six months, but that it was never agreed that the government term would end, if it did not complete those tasks within this time frame. "If the Hamas movement has retracted the reconciliation agreement and the termination of rivalry, that is a different case," Abu Shahla said. Furthermore, PA President and Fateh member Mahmoud Abbas recently stated that, should the UN Security Council reject a pending draft resolution to end the Israeli occupation, e will reconsider relations with Israel through ceasing security coordination and obliging it, as the "Occupying Power", to take responsibility of the situation. 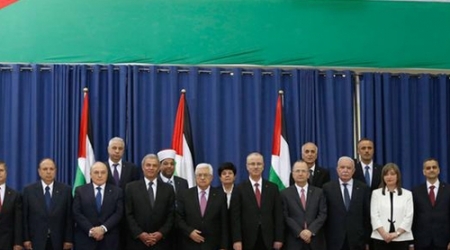 A political reconciliation was agreed upon by Hamas and the Fateh-led PLO in April, taking oath in June and apparently ending seven years of political discord. Until the agreement, Hamas had been running its own government in the Gaza Strip, following elections in 2006. Violent clashes subsequently broke out between the movement and rival Fateh members in 2007, and Hamas declared sovereignty over Gaza. It was then that Israel began to tighten its restrictions on the Strip, leading to frequent humanitarian crises and outbreaks of violence between Israeli forces and armed resistance groups associated with the region.